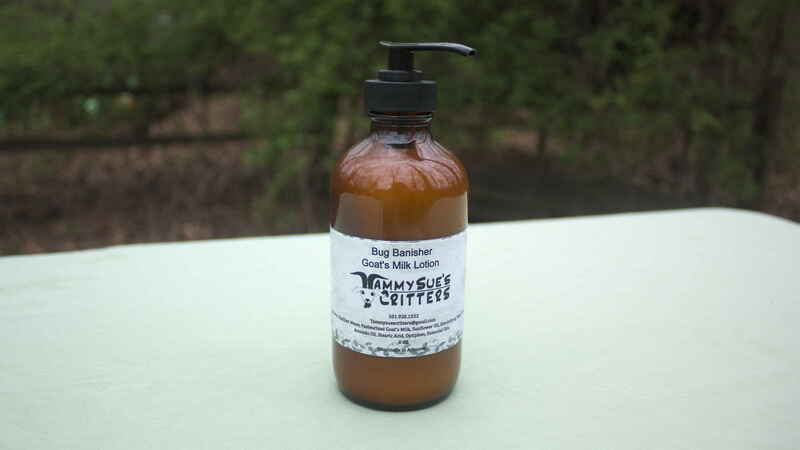 Our Bug Banisher lotion is made with the same amazing recipe as our other lotions. This lotion has the benefit of Lavender, Teatree, Citronella, Rosemary, Peppermint and Geranium oils. This lotion works very well with flying insects. A little bit is all you need.